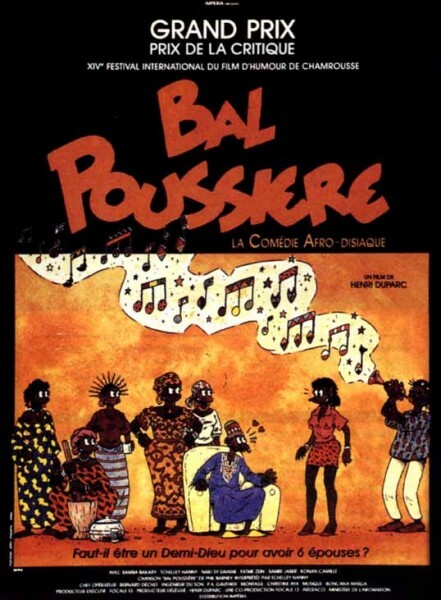 The Panafrican Film and Television Festival of Ouagadougou (Festival panafricain du cinéma et de la télévision de Ouagadougou or FESPACO) is the largest film festival in Africa, held every two years in Ouagadougou, Burkina Faso. 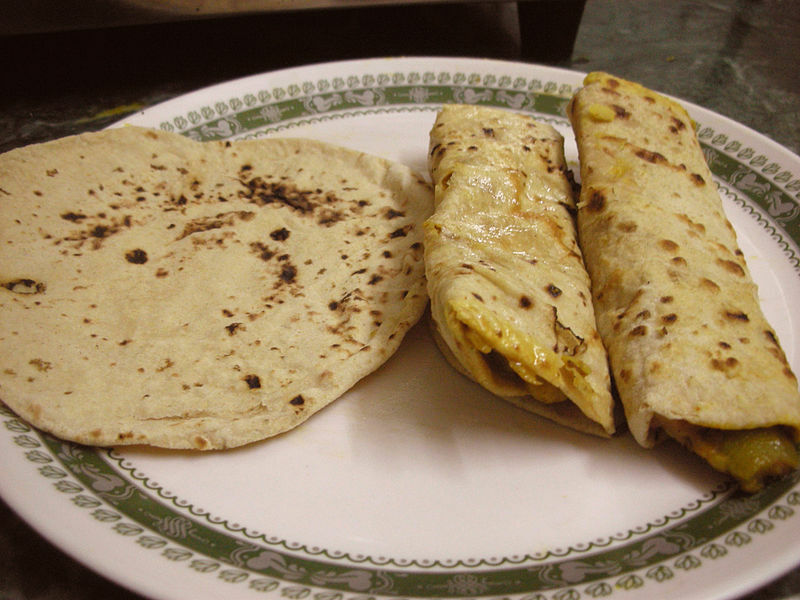 The festival usually takes place in March of every year it is held. Founded in 1969, it has honored a great number of movies whose impact is still felt today. In celebration of the upcoming film festival, below are five of the most celebrated French-language African films (award-winning or not) that have left their mark on an entire generation of movie-watchers. Un petit bijou de fraîcheur et de spontanéité. Ce film a la candeur du cinéma de Renoir ou de Pagnol. Petit budget pourtant, acteur souvent amateurs, tourné en super 16mm et pourtant la magie est là, on se laisse porter par ces personnages incroyables. Du vrai cinéma. A fresh and spontaneous little gem. This movie has the candour of a [Jean] Renoir or [Marcel] Pagnol work. Small budget, many amateur actors, shot in Super 16 mm, yet the magic is there, these incredible characters simply carrying us away. Authentic filmmaking. The film is based on the history of the Beta Israel (Ethiopian Jews) who, despite their efforts, have experienced a great deal of difficulty gaining acceptance after immigrating to Israel. The movie has seen renewed interest recently as many African immigrants in Israel have been demonstrating for their rights. “A Screaming Man”, originally titled “A Screaming Man is Not a Dancing Bear”, is a film by Chadian director Mahamat Saleh Haroun, released on September 29, 2010. It received the Cannes Film Festival Jury Prize in 2010. The original title is a quote from “Notebook of a Return to the Native Land” by Martinican poet Aimé Césaire. The film tells the story of 55-year-old Adam, a former swimming champion turned hotel lifeguard in N'Djamena. When the hotel is taken over by Chinese investors, he is forced to surrender his job to his son Abdel. A Screaming Man talks about loss of self, not as a consequence of happenings beyond our control, but of the choices we make when life throws us off guard. . . It is in fact up to ourselves to decide what kind of person we want to be and how to express and live up to the decision once it has been made. “Days of Glory” is a 2006 Algerian-Moroccan film directed by Rachid Bouchareb. The film tells the stories of one Moroccan and three Algerian soldiers serving in the French army during World War II: Abdelkader, Saïd, Mesaoud and Yassir. While they are disillusioned by the discrimination they experience during the war, the movie also illustrates their emerging sense of hope and political consciousness. 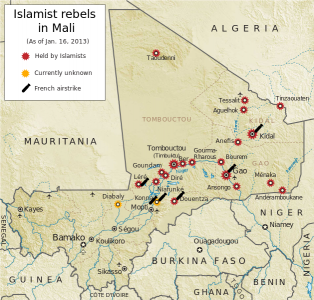 Personne ne s’était encore attaché à relater le sort de dizaines de milliers d’Africains, du Maghreb et au-delà du Sahara, qui, au sein de l’armée française, ont participé à la libération du pays qu’ils n’ont jamais, pour la plupart, cessé de considérer comme leur patrie. [..] c’est ce qui fait la force et l’émotion du film : les personnages sont construits, et pas prétextes. Ils sont humains : parfois lâches, peureux, ils sont avant tout des hommes venus libérer leur pays du joug nazi. No one had yet endeavored to tell the story of tens of thousands of Africans from North Africa and beyond the Sahara in the French army, who helped liberate the country they always considered their homeland. [...] That's what makes this movie so emotional and powerful: the characters are fleshed out, not clichéd. They are human, sometimes cowardly or scared. Above all else, they are men who have come to liberate their country from the Nazi yoke. “Tabataba” (“rumblings” or “rumors” in Malagasy, but also the code name given to the events of the 1947 Malagasy Uprising in Madagascar) is a 1988 film by Raymond Rajaonarivelo. The film tells the story of a Malagasy village fighting to achieve independence from French colonial rule. For the villagers, rebellion takes different forms. Some believe in the power of democracy; others believe in the power of arms. Everyone was telling me stories, but never the same one. This resulted in a rumor, tabataba, that seemed to reflect what I had heard there. These are all memories that I used to write the script. Car ce qui est crucial, dans ce jeu de balance auquel on assiste entre déni et commémoration, entre interprétation française renouvelée et pluralité des perceptions malgaches, ce n’est pas la vérité de l’historiographie, dont on voit bien qu’elle ne résoudra rien des ombres de la mémoire ni de la dimension symbolique de l’événement. C’est peut-être la voix alternative de la rumeur, ce « tabataba », ce bruit sourd, permanent, varié et variable, tantôt ténu, tantôt éclatant, tantôt victimaire, tantôt héroïque, qui est importante. For as we try to balance denial and commemoration, the balance between France's reinterpretations of the events and the Malagasy people's various perceptions, what is crucial is not the truth in historiography. That clearly resolves nothing when it comes to the shadows of memory or the event's symbolism. Perhaps it is the rumor as an alternative voice, the “tabataba” – this muffled, continuous, multifaceted sound, ever-changing from restrained to deafening and from victimized to heroic – that is more important. Inspired by Brandon Stanton's Humans of New York (HONY), Nina Steinberg has created a Facebook page Humans of Ethiopia that provides glimpses into people's lives in Ethiopia. As I explore Ethiopia this summer I have decided to create a space where I can share my glimpses into the lives of strangers, new friends, and the fascinating way of life I am coming to understand here. Inspired by Brandon's Humans of New York. 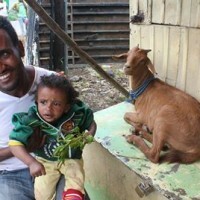 Take a look at a few photographs republished from the Humans of Ethiopia page. 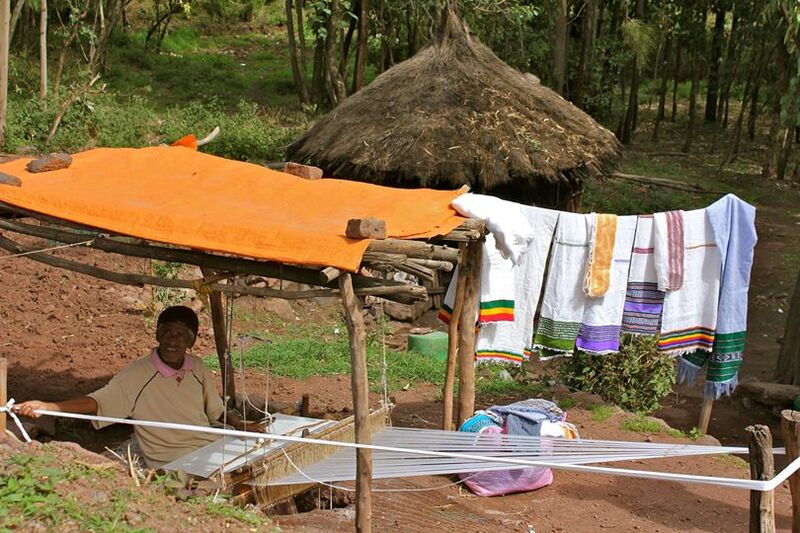 Traditional cloth weaving is a centuries-old tradition in Ethiopia. Photo by Humans of Ethiopia. Used with permission. Ethiopian soldiers walking in an empty street. Photo by Humans of Ethiopia. Used with permission. 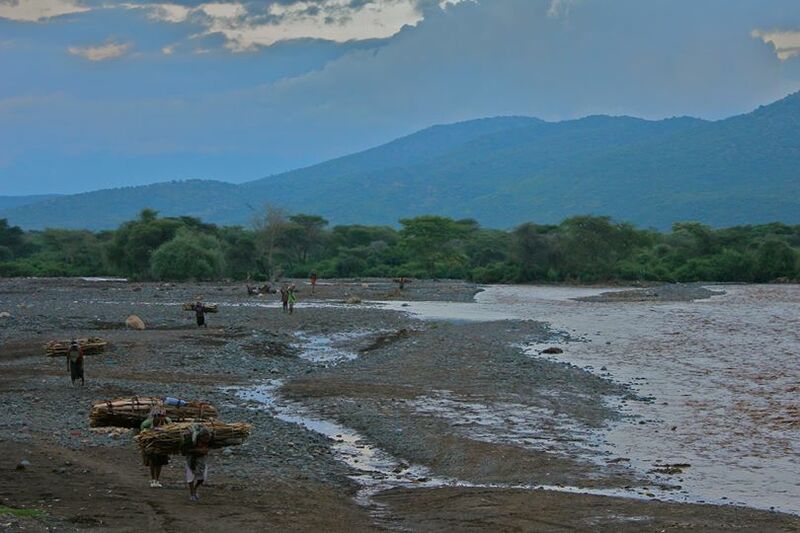 Ethiopian women carry wood on their backs to make a living. The load they carry goes up to 70 pounds and the hike distances that can be more or less than 18 miles. Some of these women may even weigh less than the load they are carrying. Their average daily income is less than two US dollars. Photo by Humans of Ethiopia. Used with permission. 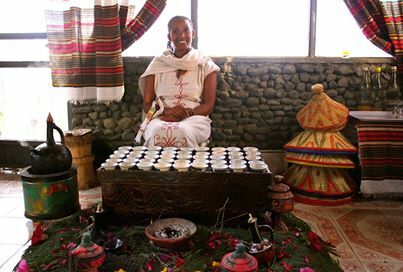 An Ethiopian coffee ceremony is a beautiful ritualized way of drinking coffee. The green coffee beans are roasted and then the pan is walked around the room so that everyone can get a waft of the coffee aroma. The coffee beans are crushed, mortar-and-pestle style. 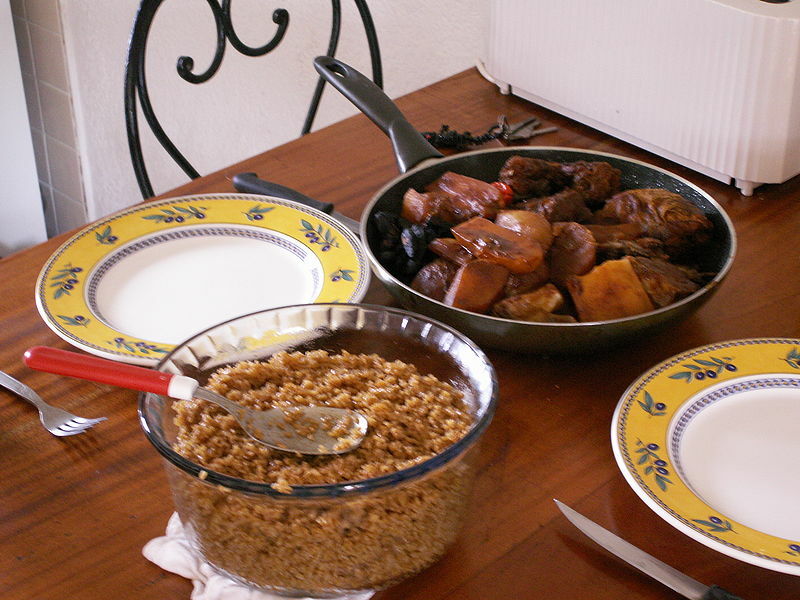 The coffee powder is then boiled in a clay pot called a Jebena (seen in the left of the photo). Finally, the coffee is poured into little china cups on a tray and served to everyone – it is served three times. Photo by Humans of Ethiopia. Used with permission. I caught them waving chat at the goat and laughed at the thought of a goat getting high. But when I came over to snap a photo, the father wouldn’t smile until he clarified that he was only feeding the goat chat… not his precious little girl. Photo by Humans of Ethiopia. Used with permission. 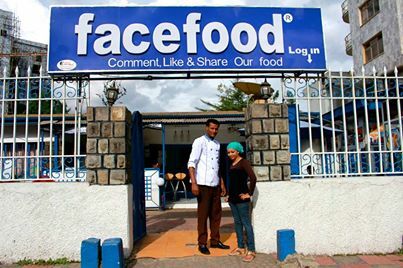 Eat at facefood. Photo by Humans of Ethiopia. Used with permission. -John Ruskin, The Stones of Venice. Photo by Humans of Ethiopia. Used with permission. 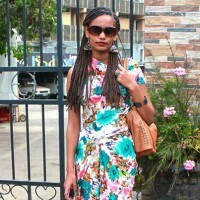 Ethiopian designer, Salam Nigussie, showing off her product: “I designed and made what I'm wearing.” – Salam Nigussie. Photo by Humans of Ethiopia. Used with permission. Ethiopian journalists Reeyot Alemu and Eskinder Nega have been locked up in Ethiopia’s Kality prison since 2011 – simply for being journalists trying to hold their government accountable for its actions. Although they have been honored with numerous prestigious journalism awards, the Ethiopian authorities continue to insist that Reeyot Alemu and Eskinder Nega are terrorists. There is no doubt that their arrests and convictions were politically motivated and that their rights as journalists, who are constitutionally protected by freedom of the press, have been violated. Despite investments made these past years by the American-Cameroonian firm AES-SONEL in charge of production, transportation, distribution and sale of electrical energy, the problem is far from being resolved. [...] Power cuts in Douala and Yaoundé last on average four to six hours while in other areas of the country, notably in rural zones, eyewitnesses consistently report that power cuts can last up to three days in a row. With power varying from 3 to 6 kWh/m2 depending on geographical position, the main advantage of solar installations in Africa is their capacity to provide enough power to answer daily needs. Another advantage of solar power systems is decentralisation of production. Knowing the antiquity of the existing infrastructure, no-one could be against starting a system where the production site is beside the point of use. A good example is a remote house with panels on the roof. [...] Last but not least, the work towards energy efficiency that a solar installation imposes. Solar power gives intermittent energy which depends on several parameters such as the weather, quality of the installation, etc. As a result, its usage implies a move towards energy-saving equipment. In this way the level of consumption can be reduced while keeping the same degree of usability. The potential of geothermic energy in the Lake Assal region of this country in the Rift Valley is being studied [...] Energy production around Lake Assal could start in 2018 for a cost of 240 million US Dollars, generating 40 to 60 megawatts. 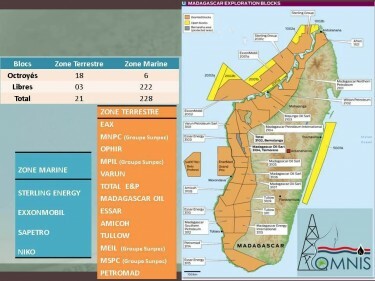 The BAD recommend that public and private sector partnerships develop these energy projects due to their high cost. Located 200 km south of Addis Abbaba, the Ethiopian capital, the new power station will start producing 20 MW from 2015, then 500 MW in 2018 and finally 1 GW several years later [...] The area acquired by Reykjavik Geothermal covers 6500 km2, of which 200 km2 have already been identified as having temperatures reaching 350°C. Ethiopian veteran journalist and blogger Eskinder Nega and online journalist Reeyot Alemu have filed a complaint against Ethiopia at the African Commission on Human and Peoples’ Rights, challenging the country’s abuse of its anti-terrorism law to suppress free speech. Both were convicted under Ethiopia’s notorious 2009 Anti-Terrorism Proclamation for asking critical questions about government policies — simply put, for doing their job as journalists. Mr. Nega is currently serving an 18-year prison term and Ms. Alemu one of 5 years. Their cases are but two of many more that have been brought under the guise of “combatting terrorism” in the country. 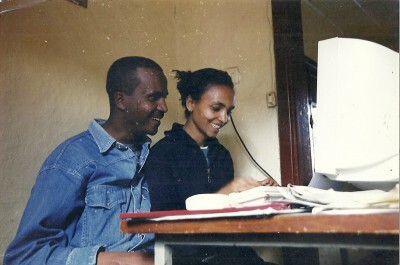 Eskinder Nega and his wife Serkalim Fasil. Photo used with permission of owner. Ethiopia is one of many countries that has adopted anti-terrorism laws modeled after expansive legislation that specifically targets United States policy. Hundreds of journalists and other dissenting voices in the country have been prosecuted under the Anti-Terrorism Proclamation since it entered into force in 2009. With its overly broad provisions, which even explicitly make practising journalism a crime, it has been employed as an effective tool of oppression in a context that wasn’t conducive to a free press to begin with. Reporters Without Borders ranked Ethiopia 137th out of 179 states in its 2013 World Press Freedom Index, 10 places lower than its 2012 ranking. According to the Committee to Protect Journalists, more journalists fled into exile from Ethiopia in 2011 than from any other country worldwide and between 2008 and 2013, a total of 45 journalists went into exile from the country. Journalists and opposition political party members face frequent harassment, particularly when their coverage is critical of the government. Self-censorship is a routine consequence of the situation. Two of the journalists prosecuted under the 2009 Anti-Terrorism Proclamation are Eskinder Nega and Reeyot Alemu. For Mr. Nega, the founder of many independent publications in Ethiopia, all of which have now been shut down, this is the eighth time authorities are persecuting him because of his work. Together with Ms. Alemu, a political columnist for the now-banned independent newspaper Feteh and a regular contributor to the online news outlet Ethiopian Review, he is now challenging the legislation on which he previously wrote critical opinion pieces where he questioned the way the law was being used to jail journalists. 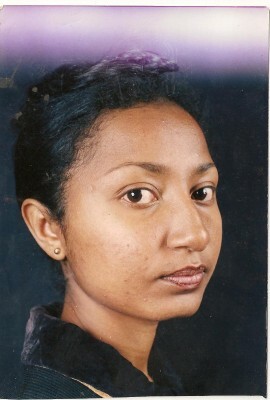 Reeyot Alemu. 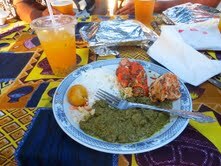 Photo used with permission of owner. Their petition asks the African Commission to refer the case to the African Court on Human and Peoples’ Rights, which could issue a binding ruling against the Ethiopian government. This is necessary, they argue, because their case is merely an example of the many more journalists, activists and political opponents who are being prosecuted as “terrorists”. Under the African Charter, the Commission has the power to refer matters to the Court that concern a “serious or massive violation” of human rights. The complaint of Mr. Nega and Ms. Alemu sets out that the systematic prosecution of those critical of the government constitutes exactly that. Their decision to challenge the Ethiopian government is a very brave one. Since their imprisonment, both journalists have suffered repercussions for speaking out on their situation and those of others. Mr Nega and Ms. Alemu have both been denied visitation rights on a frequent basis and Ms. Alemu has been threatened with solitary confinement. Mr. Nega and Ms. Alemu are represented before the African Commission by Nani Jansen of the Media Legal Defence Initiative, Patrick Griffith of Freedom Now and Korieh Duodu of Lincolns Inn. 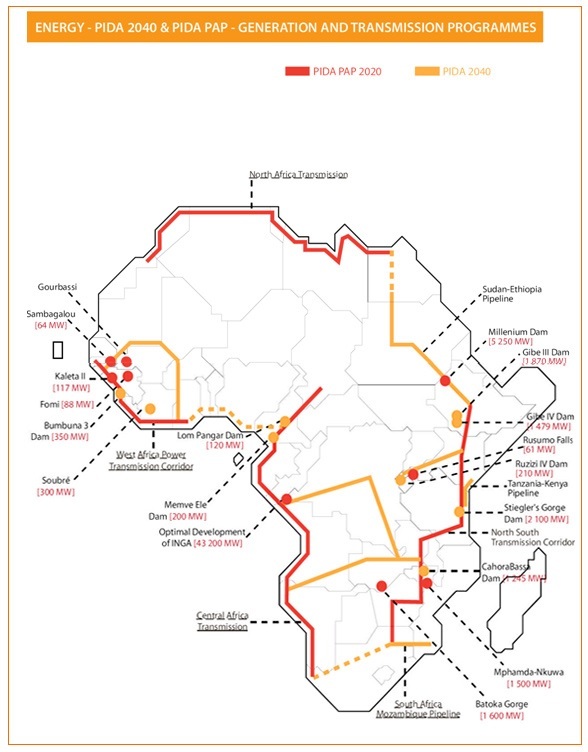 The next upcoming session of the African Commission will take place in Banjul, The Gambia from 22 October – 5 November 2013. An aggressive crackdown on protests against the country's mistreatment of Muslims ended in hundreds, including women and children, reportedly beaten, tear gassed and arrested by police on Thursday 8 August, 2013, the Eid al-Fitr holiday. Ethiopian Muslims have been protesting online and offline for over a year and a half against alleged government's interference in their religious affairs. One of the issues they are opposed to is the election of the Islamic Council that took place in October 2012, which they argue the government influenced the process in favor of government-friendly members. They also accuse the government of trying to promote a more liberal form of Islam known as al-Abhash. Muslim cyber-activists have been using Facebook pages such as DimtsachinYisema [amh] (Let Our Voices Be Heard) and EthiopianMuslims to coordinate and share information about the protests. Last year, Ethiopian Christians supported their fellow citizens in online messages of unity, which went viral in the Ethiopian digital space. Many Ethiopian Christians changed their Facebook status in July 2012 to announce their allegiance to Ethiopian Muslims in their quest for non-interference from the government. Following the crackdown on Eid protests, Amnesty International released a statement calling on the Ethiopian government to end repression against Muslims. The statement takes note of an incident last week related to the protests that reportedly ended in the deaths of an unconfirmed number of people in the town of Kofele in Oromia region. Reports of police brutality and arrests after Eid prayers are trending on Twitter under the hashtags EidDemonstration and EthioMuslims. Despite massive condemnation from Twitter users in Ethiopia and around the world, there were some who were supporting the crackdown. As foreign companies and governments buy or lease land in countries across Africa, the debate continues as to whether this will encourage development or is simply land grabbing, which displaces local populations and threatens food security. The Hindu's Addis Ababa correspondent Aman Sethi (@Amannama) has recently written about Indian companies’ involvement in Ethiopia and Mali, and on 19 May he took part in a Q&A session on Facebook on the issue of so-called Indian land grabs in African countries. What is the purpose of land grabs in Africa? Is it for the property value or just for resources like water etc? Well that's an interesting question: the jury is still out on the whole question of “land grab”. The UN, for instance, has come up with a set of guidelines on land investment. Host countries tend to lease out land, rather than sell it, so it isn't usually about property value because the lessor company cannot sell the land. Investments are invariably for the resources then – so it could be minerals, it could be timber, it could be soil and water to grow crops. The big question of course is – are host countries getting enough back in return for leasing out land and (often) displacing people? 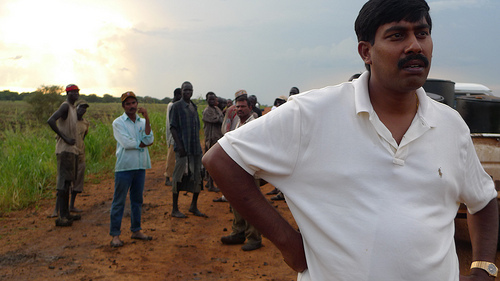 Sai Ramakrishna Karuturi, Managing Director of Karuturi Global Ltd., Gambella, Ethiopia. Photo by Flickr user Planète à vendre (CC BY-NC-ND 2.0). Don't you think Africa's land problems are a result of confusion over who owns the land, whether it is an individual or the government, since individuals have been staying on government land under the assumption that they are the owners whereas the government considers the land as its own? I think this is a key and crucial point – that in at least two countries that I wrote about – Ethiopia and Mali – there is significant confusion over land titles. In Ethiopia for instance, all land is owned by the state and is leased out to private individuals and companies. In places like Gambella – as I mention in the second part of the story – communities often have pre-existing communal claims on the land, which are not acknowledged by the state. This creates a serious problem. The Ethiopian government believes that the Commune Development programme – or villagization – will actually streamline the process of land use by giving land titles to the people who are resettled under the scheme. However, this will of course involve a radical change in the way the community conceives of land. Are Indian companies adding to capacity building of locals there? Do they hire locally or bring in workers from India? On labour – the Ethiopian government is very clear that they want companies to train local workers. Last year, I wrote about how liquor Baron Ponty Chadha had come up with a plan to bring farmers from Punjab to Ethiopia – but the plan was shot down by the government. Most governments allow companies to bring in highly skilled technicians and managers, but try to get companies to train people to become machine operators etc. Don't you think Indian-owned companies are enhancing the development there? Well, I think that a lot of developing countries are still figuring out what development really means to them – what path should they take, what resources should they allocate, what should be the role of the state and the market? Thus, I think that Indian companies have become a part of this debate by participating in these developing economies. Many in Ethiopia are unhappy with the fact that a foreign company has acquired such large amounts of land – while others believe that companies like Karuturi will help the country earn foreign exchange – so the debate is wide open right now. Do you think the government needs to put in place some minimum standards for corporates operating abroad so that locals are not abused in the process of these investments, or should it be a self-restricting corporate code of conduct? Well, I think most governments have legal frameworks to safeguard the rights of project-affected communities – however, many (much like in India) cannot effectively monitor these companies. In Karuturi's case for instance, no laws have been broken – but there seems to be a structural problem with the way the project was conceived – so I think we probably need to think beyond a legal regime and perhaps begin by trying to understand these processes as best we can. It's easy to say “neocolonial land grab” and end the discussion – but that doesn't help our understanding of the world – rather it restricts engagement because the discussion is effectively over. This post originally appeared on the website of the Electronic Frontier Foundation. It has been modified for the Global Voices Advocacy audience. On May 1, the Ethiopian Supreme Court upheld the conviction and extreme sentence of award-winning online journalist Eskinder Nega, who now faces 18 years in prison. Nega was arrested in September 2011 and charged with “terrorism” under a vague law in Ethiopia that has been used to target online journalists and political dissenters. His trial and appeal faced repeated delays, while international human rights and free expression groups continued to criticize his imprisonment and punishment. EFF, PEN America, the Committee to Protect Journalists, and others campaigned for his release, and a United Nations panel found his conviction to be in violation of international law. Eskinder Nega went to the United States for college, studying at American University before returning to Ethiopia to become a journalist. He founded four newspapers—all of which were shut down by the Ethiopian government—and has been jailed repeatedly for his outspoken articles. His journalism license revoked, Nega moved to the digital world, becoming a blogger and using online platforms to discuss the political situation in Ethiopia. While many journalists in Ethiopia have been silenced or fled the country to protect their lives and the lives of their family members, Eskinder Nega refused to leave or stop writing. His courage and dedication as a journalist have made him an international symbol of press freedom and the power of the Internet to maintain free speech in repressive conditions. Tyranny is in retreat everywhere. It has lost one of its two last great bastions, the Arab world. The momentum is now on the side freedom. Freedom is partial to no race. Freedom has no religion. Freedom favors no ethnicity. Freedom discriminates not between rich and poor countries. Inevitably, freedom will overwhelm Ethiopia. Eskinder Nega’s writings have provided a window into the realities of life on the ground in Ethiopia and served as inspiration for people in Ethiopia and around the world. 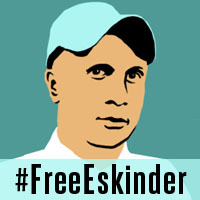 His continued imprisonment denies the world of a unique and powerful journalistic voice from an area of the world that is hungry for accurate, fair, and multifaceted reporting. Human rights advocates say the deportation is illegal according to Ethiopian and international law. Ethiopian authorities have always claimed that these claims are unsubstantiated. The government officials claim that they been uprooting indigenous and local farmers in the name of villagization programs. 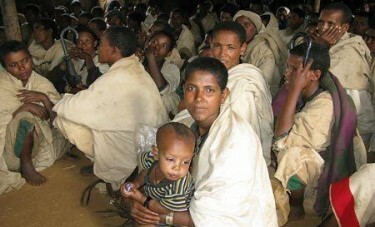 Many Ethiopians are opposed to the government policy of the rural population's mass eviction. An online petition, demanding the government stop the unlawful campaign targeting the Amhara people, had 1,764 signatures at the time of this post's publication on April 9, 2013. Displaced Amharas waiting for food and shelter. 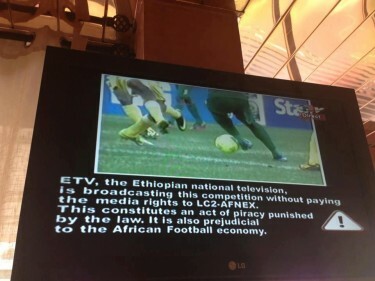 Photo courtesy of Ethiopian Satellite Television. 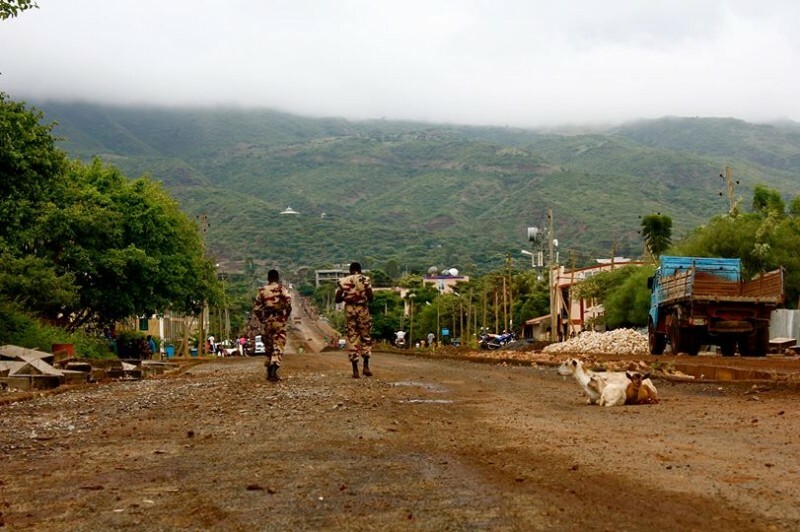 Since the 2005 election, the [Tigray People's Liberation Front] has been trying hard to transform its ethno-nationalist narrative to that of statist nationalism. That is it wants to justify its continuous rule by presenting itself as guardian of the Ethiopian state and its historical legacy. However, before it can achieve that, it has to displace the previous claimant–the Amhara elites. Hence such surgical attack on their ethnic brethren would eventually force Amhara elites to embrace ethno-nationalism and give up the throne of Ethiopian nationalism to the new claimant- Tigrean elites. The widow of late Ethiopian Prime Minister Meles Zenawi has ruffled feathers in the east African country with a claim that her husband lived on a meager monthly income of 220 US dollars, the equivalent to 4,000 Ethiopian birr, while in office. Azeb Mesfin‘s remarks came during the 9th convention of the ruling Ethiopian People's Revolutionary Democratic Front on March 25, 2013 as she complained that the party's official eulogy for her late husband was missing important details. She claimed the late president was a simple man who did not have a bank account, a driver's license, or an ID card. Many were skeptical and balked at her comments, some pointing to reports that Zenawi had a net worth of three billion US dollars. ከንግግራቸው ሁሉ ግን ያስገረመችኝ እንደማንም ሳይስገበገብ… የምትለው ናት፡፡ ማነው የተስገበገበ…!? ደግሞም ቀጠሉ በፔሮሉ ብቻ የሚተዳደር መሪ ነው፡፡ አቶ ሃይሌስ በምንድነው የሚተዳደሩት ማለት ነው…? ሌሎቹስ…? You are gulping down 4,000 Birr and yet want sympathy. We have just heard that the widow of Meles Zenawi is creating a storm by claiming that her husband received a monthly salary of only 4,000 Ethiopian birr. From her speech, I was particularly impressed with her remark stating that Meles was never gluttonous like others! Say what? Are any of his peers gluttonous?! She continued…Meles was a leader who was being paid only from payroll. Here I ask again, do other officials got their income from other sources? Where does Prime Minster Hailemarim Desalegn get his salary? What about others? Many have agreed that her speech made her look like a comedian! I couldn't agree more! I am asking your highness Comedian Azeb, please don’t kill us with laughter. Blogger Seble Teweldebirhan summarised online commentary following Mesfin's remarks. 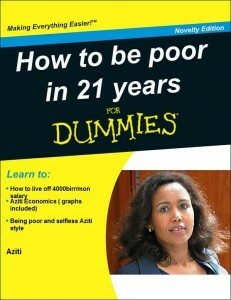 Twitter users used the hashtag #SomeoneTellAzebMesfin to remind the former first lady that she is not poor. @abiyetk: #SomeoneTellAzebMesfin that she must have confused it with his poverty in political morality. @MahletSomon: #SomeoneTellAzebMesfin that I believe she is poor and that I have a vegetarian dog. @Gudu_Kassa: #SomeoneTellAzebMesfin poor is the women who had to give birth in the woods because you sold their properties as farmlands. Work for Chris Blattman in Ethiopia to assess the impact of low-skill, low-wage factory jobs on the worker’s wealth, health and politics (among other things). Ethiopians across the world are celebrating TeamEthiopia, their national Soccer team, who fought a hard draw against defending champions Zambia in the 2013 Africa Cup of Nations in Nelspruit, South Africa. Besides the beauty of the Ethiopian game and the composure the players showed after a long absence from the AFCON tournament, Ethiopian politics was at the centre of the online discussion. 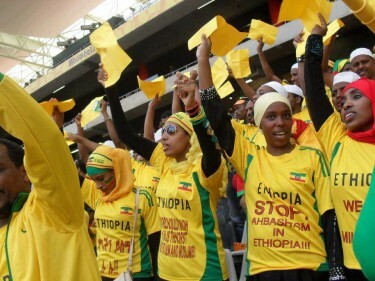 Ethiopian fans in the stadium displayed various placards and flags representing different political interests. In a bid to create a sense of deja vu for Ethiopians the blog Addis Rumble published a few historical photos from old AFCON tournaments in which Ethiopia had participated. This week Ethiopia is making a surprise comeback at the 2013 Cup of Nations in South Africa after knocking out neighboring rivals Sudan through an aggregate 5-5 draw in the final qualification round. In the days after the qualification was secured in October last year, Addis seemed like a transformed city. Previously you would hardly notice any football celebrations in the city scape (other than of the usual English Premier League teams) but following the qualification most of the capital’s blue taxies and mini busses – usually the best way of distilling public opinion – started displaying posters of the national team with a ‘Yes We Can’ text added. Sport brings people together. The cheerful Oromo crowd in South Africa today is a good example of that. In the states, rarely do we see both sides (Oromo and other Ethiopians) cheering for the same team. We have separate sporting tournaments and federations. For Ethiopia's football fans in South Africa, the choice today was between OLF flag, the defacto Oromo flag, and the EPRDF (Ethiopia's ruling party) flag. As you have said so eloquently, whether the Oromo and non-Oromo fans of Team Ethiopia displayed different flags didn't matter. They both supported one team. For far too long, at international sporting events and bazaars, a monolithic image of Ethiopia have been presented to the world. An Ethiopia with 3000 years of history that is still a christian island, has one flag, and speaks only Amharic. 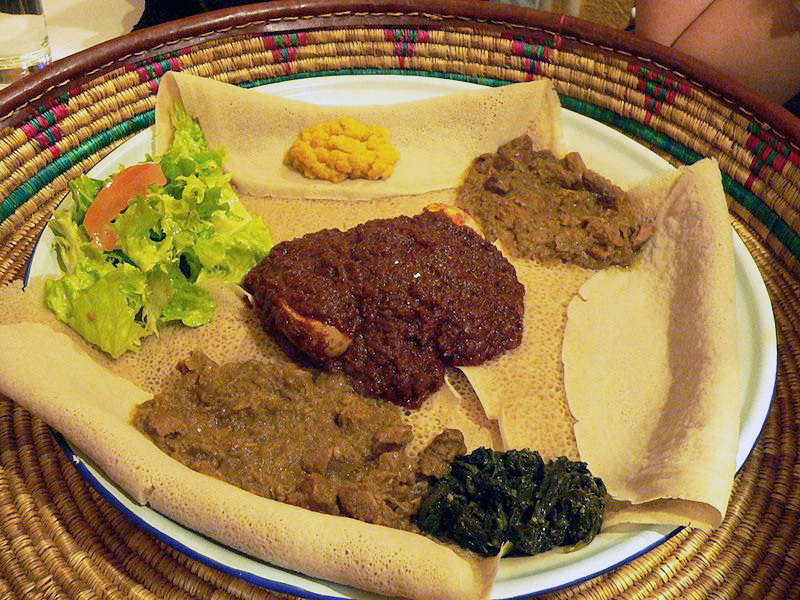 But in reality, Ethiopia is a truly diverse nation with divergent aspirations and historical experiences. As a result, contending national sentiments (isms) have emerged. 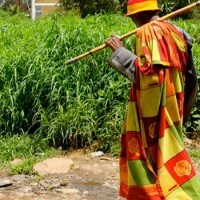 Under previous Ethiopian regimes, for example, the use of Afan Oromo in public spaces and government offices was banned. In EPRDF's Ethiopia, while linguistic and cultural rights are - at least in theory - respected, wearing or displaying an OLF flag amounts to an act of terrorism. What you saw today (the bitching and moaning about Oromo flag from those who still want to control the narrative of Ethiopia) is an extension of that false sense of unity. I concur with you that, at the absence of “national” consensus, the way forward is to recognize our differences and respect people's rights to identify however they see fit. In the same vein, our Oromo activists should also stop pouncing on every chance to question the nationalism of those who are passionate football fans - and chose to look beyond politics. All the while, it's imperative to stay civil and use this opportune moment to ask: who is Ethiopian, what's the Ethiopian identity, does the EPRDF flag represent the aspirations of the diverse people of Ethiopia, does waving OLF flag automatically make one a secessionist, why do Oromos love the OLF flag, why are non-Oromo Ethiopians so scared of assertive Oromo nationalism etc. While #Zambia's fans waved only 1 flag, #Ethiopia's side had more than 2 flags. Politicized soccer - Reflection of unresolved issues. Ethiopia will face Burkina Faso in the second match of group C AFCON tournament while Zambia will play Nigeria. 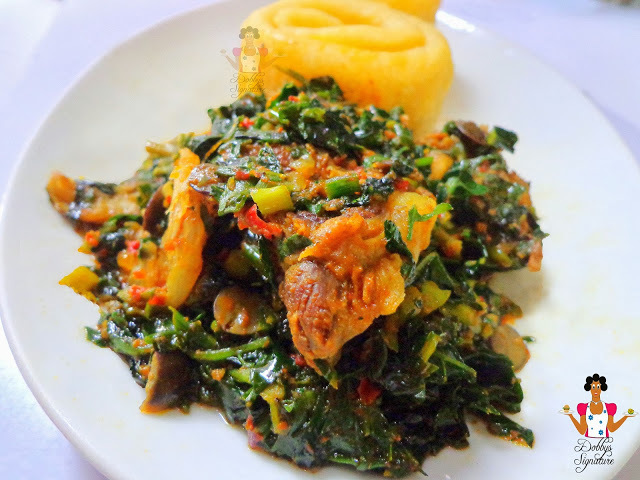 The 2013 Africa Cup of Nations, also known as the Orange Africa Cup of Nations, is ‘the' football championship of Africa organized by the Confederation of African Football (CAF). This is the 29th Africa Cup of Nations, and is being held from 19 January to 10 February 2013.